Men's Ring with Polished Hammer Finish - Cobalt - Ring Size 10.0 was added to your cart. 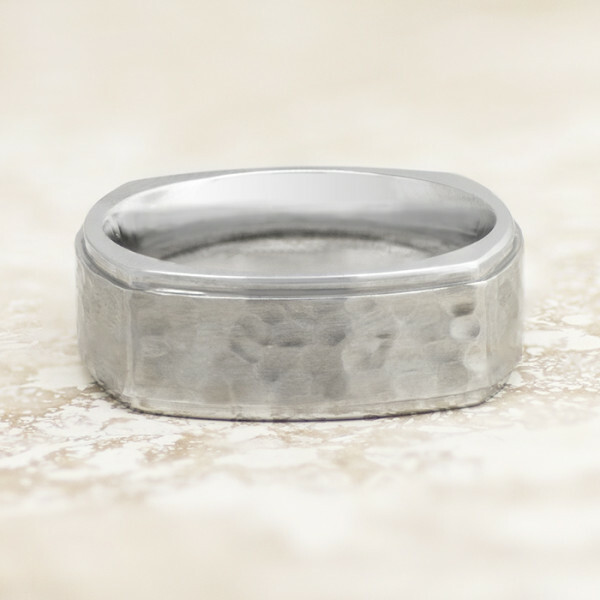 The textured look of this band is rugged and modern. The squared corners make this an extremely comfortable band to wear, and the substantial weight will feel heavy and solid on your finger.